My husband and I recently visited a charming 280-acre National Trust property nestled in the green hills of south Oxfordshire. 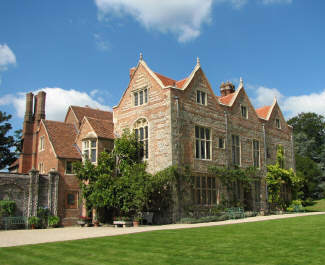 First built in the late Middle Ages, Greys Court comprises a substantial complex of sandstone buildings and walled courtyard gardens. Enjoying coffee and cake in a long, low building said to have garrisoned Cromwell’s soldiers during the Civil War, we contemplated battles long since fought and won. With dozens of other tourists, we rambled through the three-gabled Elizabethan house dreaming of what it must have been like to have grown up in such a comfortable and privileged home . I question whether such a social contract remains in society’s best interest in the 21st century. Do we still require privileged property owners to care for us? Or in a post-modern democracy are we capable to taking care of ourselves? If we conclude the later, then is it not up to each one of us work toward changing the terms of the social contract? Do we really want that in the interests of all, the rich get richer while the poor get poorer? Or might we rather like it the other way around? Next article Selling Spirituality – where on the package does it say no pain – no gain?